According to the latest Travel Agent Cruise Industry Outlook Report by Cruise Lines International Association, river cruises are currently one of the hottest trends in the cruise industry. In fact, nearly four out of five travel agents (79 per cent) stated a river cruise is a great way to introduce “new to cruise” travellers to cruising. Agents further remarked, river cruises are ideal for clients looking for new or different experiences, smaller ships, destination immersion and a relaxed way to see Europe. As a result, Europe is seeing an uptick in popularity. 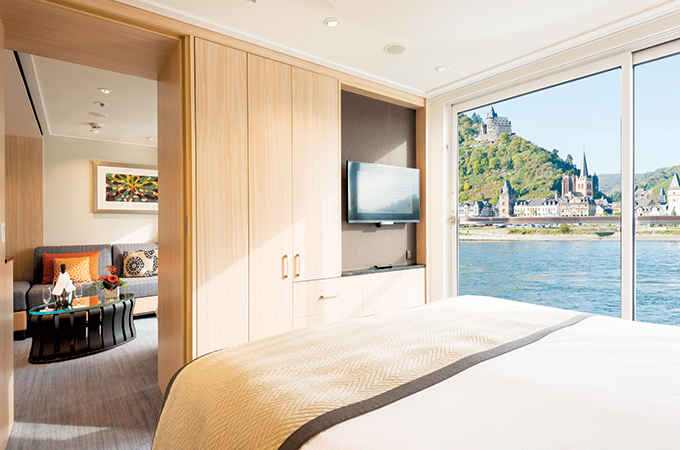 River cruises in Europe have seen a 53 per cent year-over-year growth to eastern waterways (Rhine, Moselle, Danube, Elbe) and a 30 per cent growth to western channels (Soane, Seine, Loire) as well as a 24 per cent growth to the south (Douro, Rhone, Dordogne, Garonne, Po). Four out of five travel agents (84 per cent) stated bookings are up when compared to last year. Additionally, 83 per cent reported spending is up, as well. More than a quarter of agents (28 per cent) reported clients are spending greater than 10 per cent more than one year ago. Alaska has been consistently the top growth destination for the last three years of the report. More than two-thirds of travel agents (67 per cent) reported seeing increased interest in the Northern-most US state. Alaska has gained an even wider margin than in the past. “Alaska is selling like crazy right now and families are liking the big ships traveling to Alaska,” reports Amy Madson of Cruise Inc. Some cruise destinations have seen a double-digit spike in interest from just a year ago. In Mediterranean Europe increased interest has jumped from 25 per cent to 42 per cent over the past year. South America has seen growth in interest from just 9 per cent last year to 20 per cent. Overwhelmingly, travel agents stated the most beneficial attribute for travel clients is the ability to providing valuable experience and product knowledge (86 per cent). Agents also reported another travel agent benefit is the ability to leverage relationships and expertise if something goes wrong (81 per cent).